Hey Lakerdude, any chance you will sell the Laker jersey?? Not right now. I want him to get more rings and it will be worth more further down the road, but then again I may never sell it. It's Kobe. The only Kobe thing I got is a Kobe Fathead life sized poster. My uncle gave it to me but since I'm not a Kobe fan, I have it buried in my closet. I should sell it. It's all good, I have his #24 jersey, but want his #8 jersey as well. I have a Kobe bryant auto basketball, would you trade that for the jersey? Also, would you trade one of your auto pics of Kobe for MJ's?? Is your Jordan uda with the certificate, and what size is it? I won't trade the jersey for a ball though. Game four was not so bad for the whole laker effort. I was still disappointed with AB rebounding efforts. But Hill played fantastic and so did the rest of the team. I was glad to see Blake getting involved in the offense. And that is what it is going to take to beat this Nugget team. The Nuggets played with a lot of energy and they really think they can beat this laker team because Bynum has been handcuffed by two seven footers in Mosgov and Koufous. Bynum is not effective when doubled and he has demonstrated it over and over by turning the ball over. Kobe had to bail him out several times. But I noticed he got frustrated when Sessions did not pass him the ball when he was asking for it, and that kind of attitude is going to get him shipped out of the laker organization. He should go out there and play defense if he can not get his offense going because of the doubling. I thought everybody else played hard and I am glad we won. No not UDA. Are you willing to sell any of your Kobe auto pics? What's the authenticity of your MJ photo? What size is it? Sat game Kobe did whatever he could. It is still Kobe's team. Anyways I hope Bynum is traded to the Magic for Dwight. We would be contenders for sure. At least Andrew plays for us, has been on the team for 7 years, and has helped us win 2 championships. Howard has never been a Laker and has no interest in being a Laker. In fact, when the Orlando Magic threatened to trade Howard to the Lakers, he Opted-in for the final year of his contract. That's how badly he doesn't wanna play with Kobe. GET IT THROUGH YOUR HEADS! Dwight Howard DOES NOT want to sign with the Lakers! He DOES NOT want to play with Kobe! He DOES NOT want to be here! He wants to go to Brooklyn and play with DWill, a player who will actually pass to him (unlike Kobe). Period. So basically, F**K Dwight Howard! That no free throw making, undersized, coach killing, limited skill having, pygmy, drama queen can go f**k himself. I support my dude Bynum, who is and always has been a true Laker from day 1 of his NBA career. Once Bynum has another great All-Star season next year, then Mitch Kupchak and Jimmy Buss will have little choice but to pony up the big dollars and pay the man. End of story. Your "End of story" doesn't have a happy ending. True Howard may not want to be a Laker but Andrew doesn't give a sh!t where he plays. He is nothing but a big slug with no heart that only cares about the nearest bank in town. I will take Howard any day of the week (at least we will get one more ring with him, even if he is a rental). That is the end of your story. Keep telling yourself that, chief. HOward isn't the f**king cureall for Kobe and I'll be willing to bet you real American dollars that if Bynum was traded for Howard, Kobe still wouldn't win another championship for the Lakers in the 1 year Howard got rented out to be here. Go ahead and take that bet, and we'll see who's bank account has a happy ending after it's all said and done. I've already taken money from one dude on this site who was foolish enough to bet against me this year. I'd happily take your money too. So yeah, you'd "happily" take 1 year (and likely no rings) worth of Howard rather than all the years of Bynum's prime greatness? What a joke. LOL. It's really pathetic and sad too see how desperate some of the fans on this site are when it comes to getting rid of Bynum. Haters gonna hate I guess. Haha, you actually believe your own nonsense?? Go ahead and continue your love affair with Howard if you want. I'll be here rooting for, supporting, and defending the players who are actually on the Lakers. The only nonsense is your love for this loser with no heart. Get him the f*ck out of here. The sooner the better (I will take a large popcorn and drink for this loser). No heart? Haha. Your comments are amusing. The dude battled back from multiple injuries that would have destroyed the careers of weaker players but yet here that "heartless loser" is, an All-Star, an All-NBA player, a 2 time champion, and a rising star in the NBA, just as promised. Keep hating, Bynum hater. 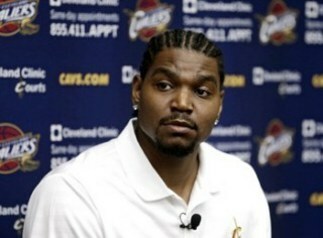 Bynum will keep ballin' it up and making you and others like you look bad. Just watch. Also, keep loving Howard if it makes you feel better. Maybe you can take your love for Howard to a Nets forum once he signs there, since you like Howard so much. Clearly LSD you are blind with your boy Bynum, if you can't even figure out what I meant when I say your big slug has no heart. 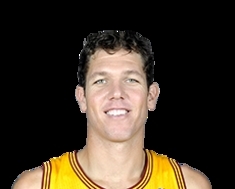 I don't particularly want Howard for Bynum I would take any decent trade for your boy (I did make it a large popcorn. lol). And if for awhile, have you always disliked him? You see growing up watching the Show time era if anyone ask me who my favorite Laker is, I would reply Magic. Also, Kobe is right up there with him, because he has done more for the franchise, then any another player in this era, maybe Shaq? I have a hard time putting Andrew Bynum in front of Kobe, when he has not proved anything. For Example, the last two post season we have had a strong, and healthy Bynum and it has got us no where!!! early twenty's I am old school too but I have my opinion's and keep them respectful. Ditto and WELCOME. I'm cut from the same cloth. Been a laker fan since I was in the 3rd grade and that started in 83'. 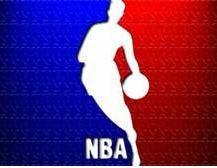 So you know back then, this type of outlet wasn't even thought off but since I've been round in this forum for a few years I notice that many LTBers are very youthful and just don't know NBA basketball so it's no use going back and forth. Hell if it wasn't for Magic, I wouldn't even be a Laker Fan for sure. Goog post! I too have been watching the Lakes since the beginning of the 80's, since Magic's rookie year. Magic has always been my favorite Laker player, and have always thought was the best player to play the game, even better than MJ. But after watching Kobe, and what he has done, and considering, he was not a lottery pick, and was not even a starter when he first started playing for the Lakers. You have to to be proud of all Kobe's hard work and accomplishments, as well as what he had done for the city of LA, and the world on and off the court. We only have a few years left of his greatness, and then he is done, and who knows if we will ever get another great player like Kobe again. So I find it humorous, and very disrespectful from so called "laker fans", that they can say they dont like Kobe, and still call themselves Laker fans. It's like saying your a Christian, and don't believe in Christ. I know this might sound extreme, but I think it's a real good analogy. 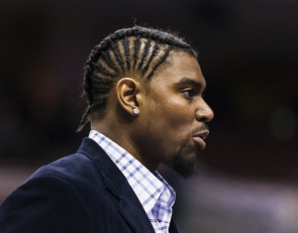 Andrew Bynum Trying to Make a Comeback. → Which Site is the Stupid One?